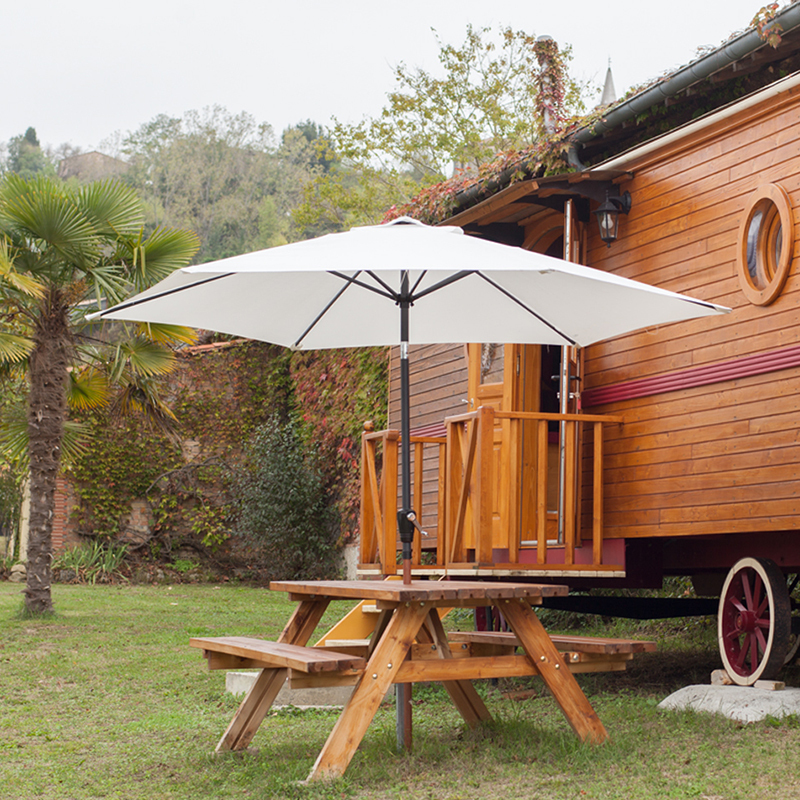 Experience a wonderfully peaceful natural holiday in one of our wooden caravans called « Roulottes du Raxol » in the small idyllic village of Montvalen in the Tarn, southern France. 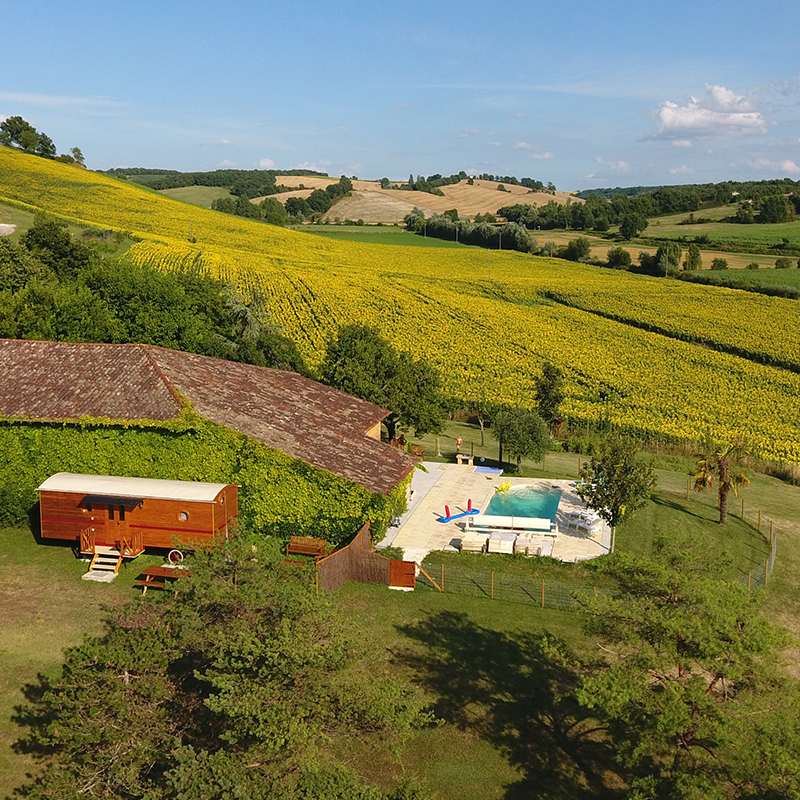 Located in the rural heart of the Tarn; an environment of mountains, forests, vineyard, rivers, farms and lovely small villages… With a glass of Gaillac in your hand, looking at the enchanting panoramic view, you will see France at its best! 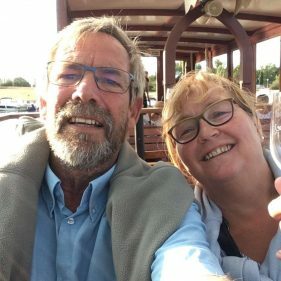 Peter and Rita Kerkhoff and we’re living since 1994 in France. First in Milhac, North of the Lot. 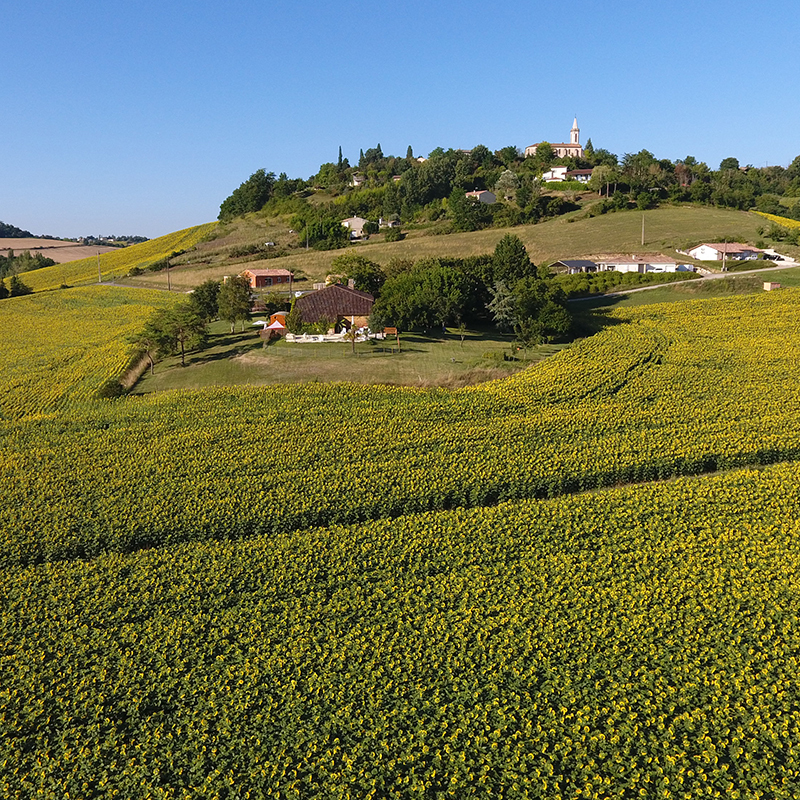 At “les Maurelles” we received our guests. 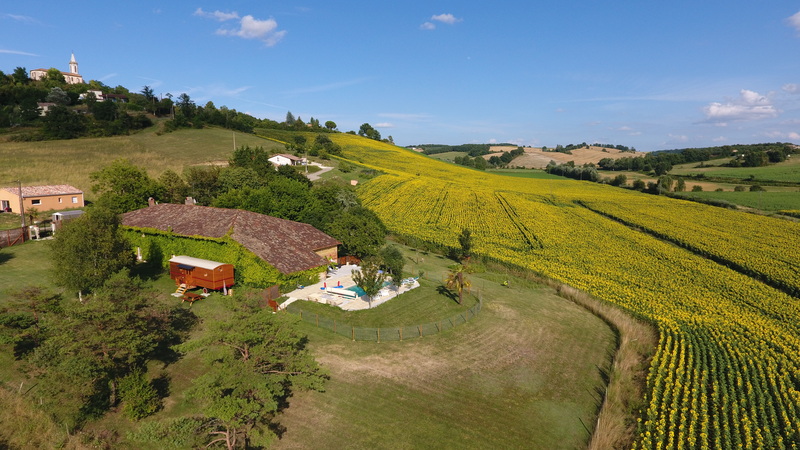 We solded this property in 2006. Starting 2007 until 2015, we did the same on the beach of Gruissan-Plage. 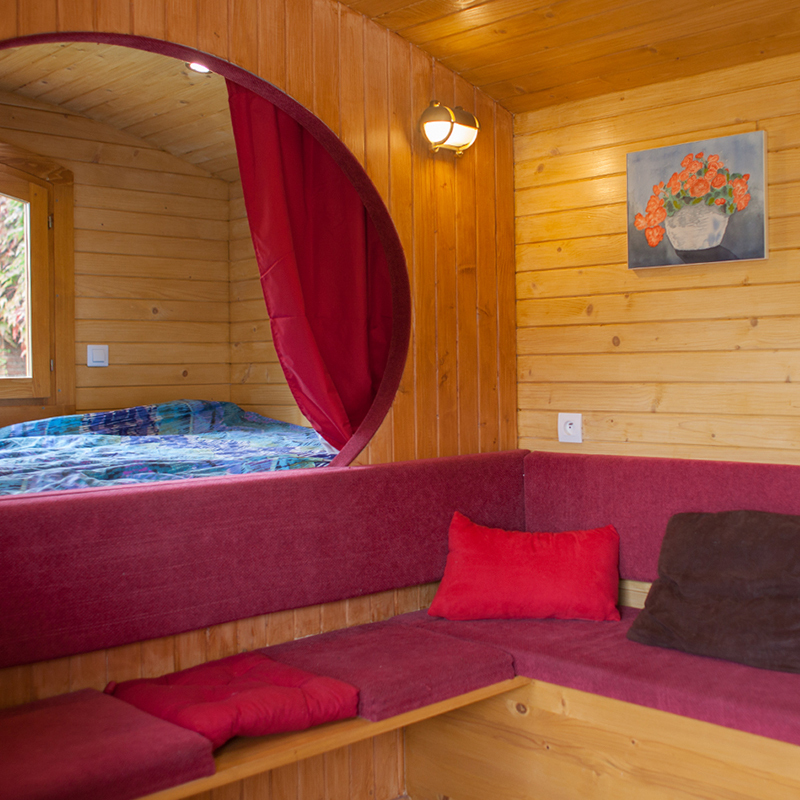 (“Cabanes-des-Plages”) And now we hope you can have a very nice, relaxing holiday in one of our cosy wooden caravens. 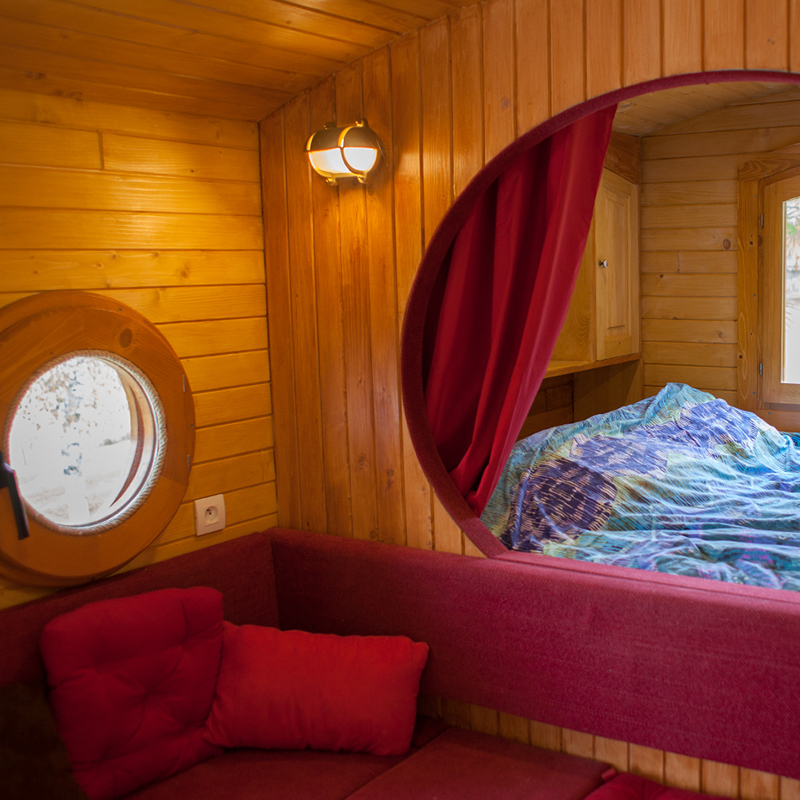 “Roulottes du Tarn” is settled in Montvalen, Tarn, with marvelous surroundings.